This is a variation of the traditional cream tea, with the addition of fresh strawberries (which could tip the balance and ensure it meets the criteria for part of a five-a-day diet). Unfortunately on this occasion the cream was not clotted, though the addition of strawberries was most welcome and make this a refreshing variation. Quite simply tea taken with a selection of scones, cream, and jam. 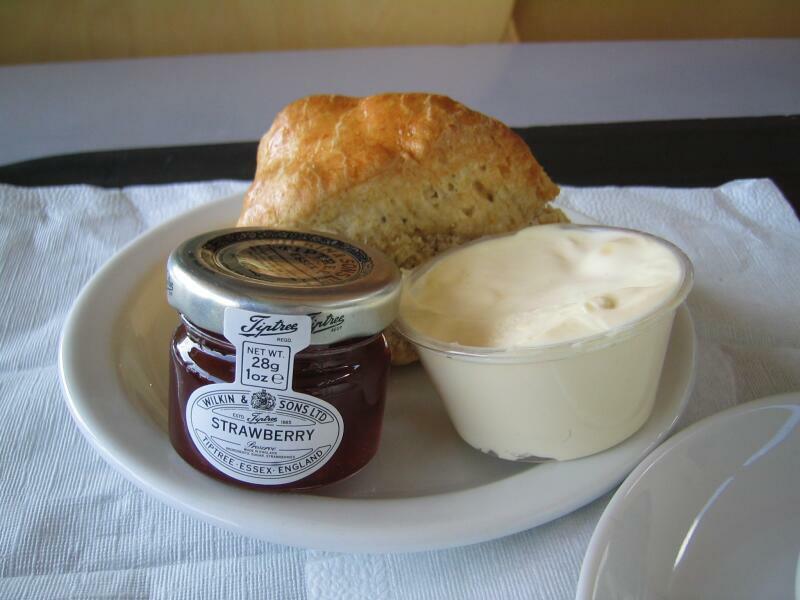 For the best experience the cream should be clotted and I would suggest the jam be strawberry.